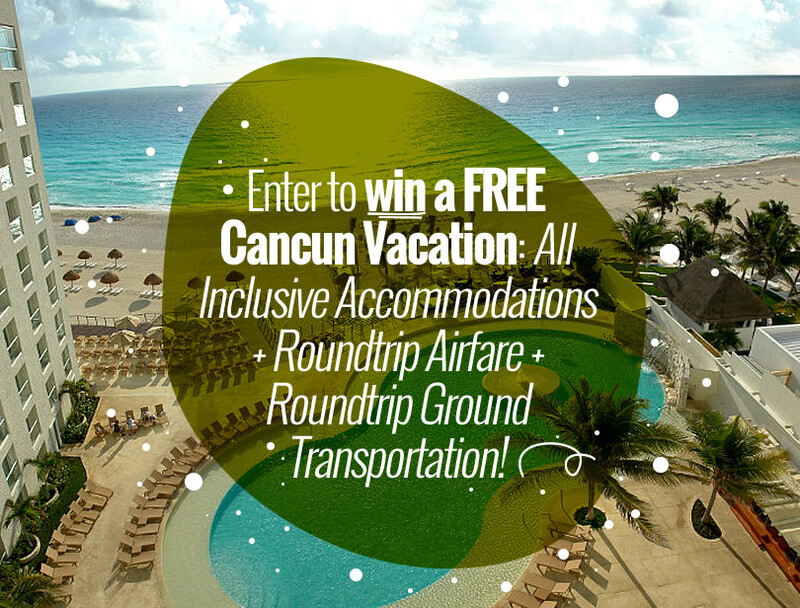 June Contest Rules: Enter to win a complete Cancun Vacation! Posted June 1st, 2016 by Jessica Garcia & filed under Uncategorized. Only persons residing in the U.S. and Canada who are at least 28 years of age may enter. No purchase necessary. Void where prohibited by law. Odds of winning depend upon number of entries. One entry per person. The promotion ends on June 30, 2016 at 11:59 p.m. and the winner will be notified by email after the end date. Participants may request the name of the winner following the end date. Not valid with any other offer. All qualified persons who complete entry form will be entered in a random drawing. Individuals affiliated with Cancun Great Vacations and Sunset World are not eligible for participation. Members of Sunset World Resorts are not eligible for participation. Winners have 30 days to claim their prize and 365 days to utilize their prize. Blackout dates are applicable. Dates are subject to availability. Airfare: Winner will receive up to $1000 usd in the form of an airline gift card, or reimbursement, or airline tickets towards round trip coach class air transportation. Sweepstakes winner and additional individual must provide all documents required for air travel and entrance into Mexico. Once passengers are ticketed, any airline change fee must be paid by the winner to change flights or dates of travel. Additional costs including, but not limited to, seat assignments, baggage fees, etc. are determined by selected airline and will be the responsibility of the prizewinner. The winner is not required to attend a timeshare presentation.